Applied Materials:River gravel, limestone, granite, basalt, diabase, andesite and so on. Tracked jaw crusher is mainly used for hard rock crushing, aggregate production, open pit mining, waste crushing and recycling, cement production, tunnel broken, etc. It is a kind of tracked mobile crushing station with compact structure, which is equipped with vibrating feeder with pre screening function, jaw crusher with firm structure, hopper, belt conveyor, reliable engine and wide ranges of optional equipment. 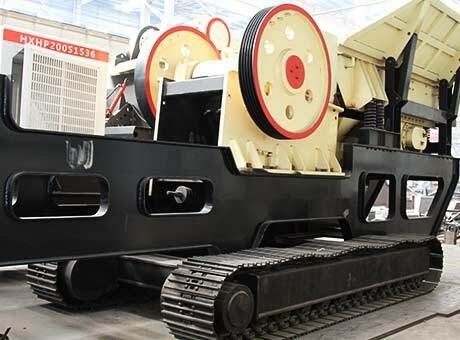 It also has other names such as track mounted jaw crusher and crawler jaw crusher plant. 4. Recycling industry: the crushing of construction waste. 7. Advanced intelligent control device with standard configuration. 3. Highly praised by customers. Tracked jaw crusher is a kind of high efficiency crushing equipment, which has self-driven mode, advanced technology, complete functions and models, such as large track jaw crusher and mini track jaw crusher. In any terrain conditions, it can reach everywhere of the working site, which reduces the handling operation of materials, and it is convenient for the coordination of all auxiliary equipment. 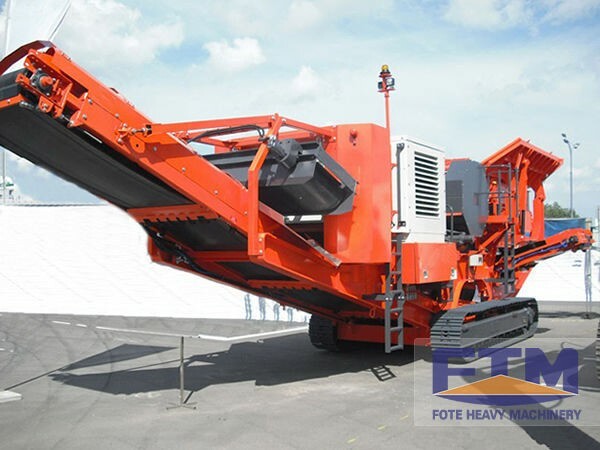 It is manipulated by wireless remote control, which can very easily drive the crusher to the trailer and deliver it to the work place. Because it has assembly time, the equipment can be put to work immediately after it arriving at the production site. Tracked jaw crusher has large crushing ratio, and the optimized design can meet the crushing technology needed by crushing equipment, which has high productivity and uniform product granularity.